It is unbelievable what great weather we’ve had for the past week or so and it’s forecast to be great as far out as the forecasters can forecast. 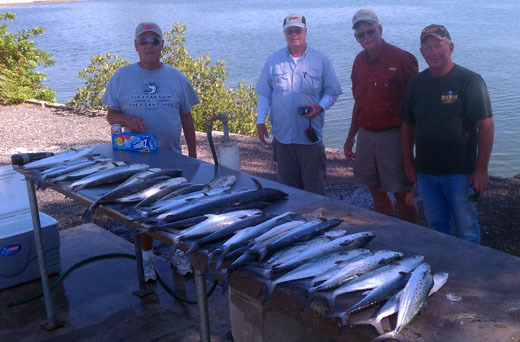 The fishing has been really good as well as we’ve had several days of 60+ large spanish mackerel, 10-40 trout per day and a few really nice redfish sprinkled here and there as well. We haven’t caught all of those every day but some days we get more macks than you can count and some days we wear out the trout. Our busiest day was 60+ mackerel and a dozen nice trout. The bait has shown up everywhere this week and that means fish are showing up and they are chewing. 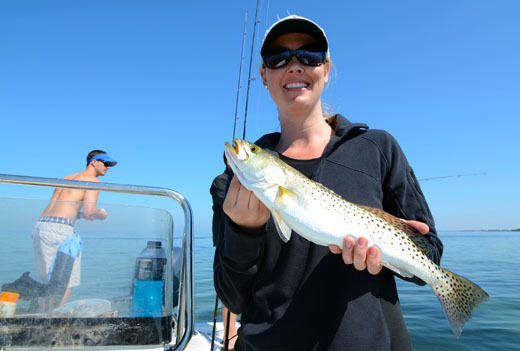 Trout on the flats and around the islands, redfish in creeks and around oyster bars and mackerel are everywhere. Now is a great time fore catching as many different species as you can in a day. The baits are on the big side so you really have to let the fish take it before you put the screws to them so they have a chance to get the bait and the hook securely in their mouth. 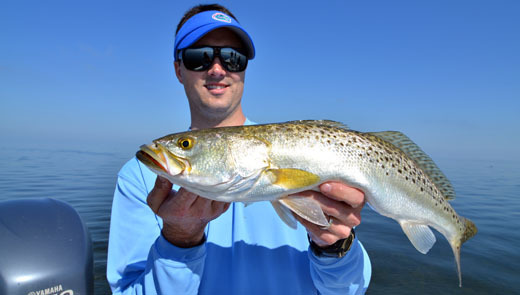 This up coming week we’re going to focus more on trout and redfish as those bite have continued to get better and better as the spring progresses. We’ll be catching live sardines on our way out and either fishing them under a cork or free lining them on 1/0 circle hooks. Tarpon season is just around the corner and if you’re planning on catching tarpon, be sure to contact me as soon as you can as dates are filling up.